Preparing for baby 2: the to do list! Much as it will be lovely to have ‘one of each’ (well, this is what people say when I find out we’re having a boy, anyway!) I am glad we found out the flavour of baby this time round to help us prepare a little better! I don’t dress Athena in all girly and pink clothes anyway, so quite a few of her old clothes can be used for baby boy too. In terms of toys we never bought anything solely ‘for girls’ as a) I don’t like pink and a lot of it is pink and b) children should be able to play with anything in my eyes… so our walker is a lovely wooden work bench, the highchair is plain wood and the bumbo has a lovely owl cover on it (as it was a boot fair bargain in pink, ick) so are all ‘boy friendly’ already. I really want to have everything sorted a good few weeks before my due date, so that all the clothes are clean washed and ready to go in case of an early arrival. I plan on starting to sort through a room at a time to de-clutter and fully clean too, as my nesting instinct has got as a far as writing ‘to do lists’ but not actually doing them! So here, is another list, of things left to do before baby arrives! 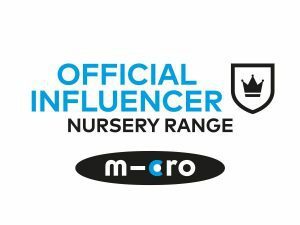 We have a co-sleeping cot – can’t recommend them enough. They make sleep with a newborn much easier to achieve!